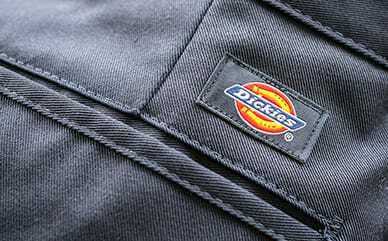 Dickies Winner's Cup Zip Front Cropped Jacket will be first in line to keep you feeling good 24/7. The cotton blend makes it more durable than your standard hoodie, while the fleece design keeps it soft. Made with a zip front and cropped design, the racing stripes shoot down the sleeves while a large winner's cup takes its place on the back.